"I just watched a news clip of three sisters getting themselves lost in the Wyoming wilderness, thus finding themselves in a survival situation. Please watch the video and then read the below article in reference to the incident. I will, within the article, interject some important tips and information that would have prevented this incident, or lessen the impact on the time they were in survival mode. These are my opinions on the incident as there are many other tips that may not be mentioned here that would have been helpful as well. I will leave this post open for comments. If you would like to add serious comments on how this incident could have been done better I will add them. Childish comments will not be included. Three Midwestern sisters who were missing for days in a rugged Wyoming wilderness area were found alive in a remote area and airlifted to safety Thursday. Working on a tip from a back country guide, a helicopter spotted the three at about 10 a.m. in Bridger-Teton National Forest, about 15 miles southeast of the resort town of Jackson, said Lori Iverson, spokeswoman for the multi-agency task force conducting the search. They were cold and hungry but otherwise OK, she said. "This was a positive note that all three made it out alive. It shows that they were prepared minimally and some type of experience that helped them make it through this ordeal. Score 1 point for these ladies." "It was also mentioned that the sisters were cold and hungry. It would have been a good idea to ration what food they had once they realized they were lost. Since they were prepared, I assume they had enough food for the number of days they were going to spend in the wilderness. Rationing what they had left would have gotten them further along food wise. It also appears they did not have survival knowledge for living off the land. With adequate knowledge, they could have foraged for food." "A properly packed survival kit would have assisted the sisters during their ordeal." The helicopter flew the sisters to a trail-head where their father was waiting while the search was conducted, Iverson said. Their mother was notified by telephone while on her way to Jackson. Searchers had been looking since Tuesday for Megan Margaret Andrews-Sharer, 25, of Milwaukee; Erin Andrews-Sharer, 22, and Kelsi Andrews-Sharer, 16, both of Columbus, Ohio. The three were scheduled to be back in Chicago then after leaving for a back country excursion June 28, Iverson said. The sisters were at the Jackson Hole Airport when their mother, Shirley Andrews-Sharer, arrived. In brief remarks, they thanked the rescuers, the Jackson Hole News and Guide reported (http://bit.ly/1dP10BJ). "We just want to give a shout-out to those guys," Erin said. "You really can't praise them enough for us." The sisters had experience in the back country so searchers were hopeful about finding them. "They were well-prepared for the trip," Iverson said. "They had the appropriate clothing. They had the appropriate gear." They also also stayed together. "They stayed rational and utilized their experience," Iverson said. "The problem, of course, with splitting up is if one person gets injured then that person has no assistance." "It appears the sisters may not have left an itinerary with friends or family as to where they were going to be, thus causing the wide area search. Leaving behind a detail itinerary as to where you will be traveling will greatly assist rescuers in locating the lost." The sisters' vehicle was found Wednesday at a wilderness trail-head popular for hiking. But people and wildlife have carved out many alternate trails that can confuse hikers, Iverson said. "It's very easy, even for experienced people, to get off-course and make a wrong turn," she said. 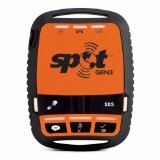 Its called the SPOT 3 and here is what it can do: With the SPOT Gen3 GPS Messenger Personal Tracker, help is only the push of a button away. SOS button alerts GEOS International Response Coordination Center of emergency situations and initiates your rescue. Help-assist button allows you to ask for help from your friends and family and send them your location. Check-in button lets your contacts know where you are and that you are OK. Track button allows your contacts to track your progress using Google Maps. Custom-message button sends a pre-programmed message with your GPS location. GPS uses satellites to communicate where cell phones can't. Custom track rates refresh your location every 2, 5, 10, 30 or 60 minutes. Vibration sensor tells Spot to send your location when you start and stop moving. With the enhanced tracking plan you can track your progress continuously. Search and rescue officials declined to immediately discuss how the sisters became lost. A search helicopter spotted the three about 7 miles from where they left their car. Searchers directed the helicopter to the area after a guide called Thursday morning to say he saw a person in an area with no trails the day before. The sisters were found 20 minutes later. "His accurate description of their location proved critical," Iverson said. Nate Suter, a guide for Trophy Mountain Outfitters, said he and another employee were clearing a trail to the company's hunting camp Wednesday when he spotted one of the girls on a ridge nearly a mile away. "I'm plumb tickled that's where they were and I could help," he told the News & Guide. Suter noted the weather was stormy in the area where the sisters were. "There were flash floods, and part of our trail got washed out," Suter said. "I am very impressed they toughed it out last night." Friends of the family welcomed news of the sisters' rescue. "When there's uncertainty, people are always worried," the Rev. Susan Patterson-Sumwalt of the United Methodist Church of Whitefish Bay, Wisconsin, said in a telephone interview. "But there was this incredible trust and hope that the girls would be OK and found, both in people's faith and in the knowledge of how strong and resourceful the girls are." Patterson-Sumwalt said the sisters worshiped at her church as children and Megan worked at the church until recently. 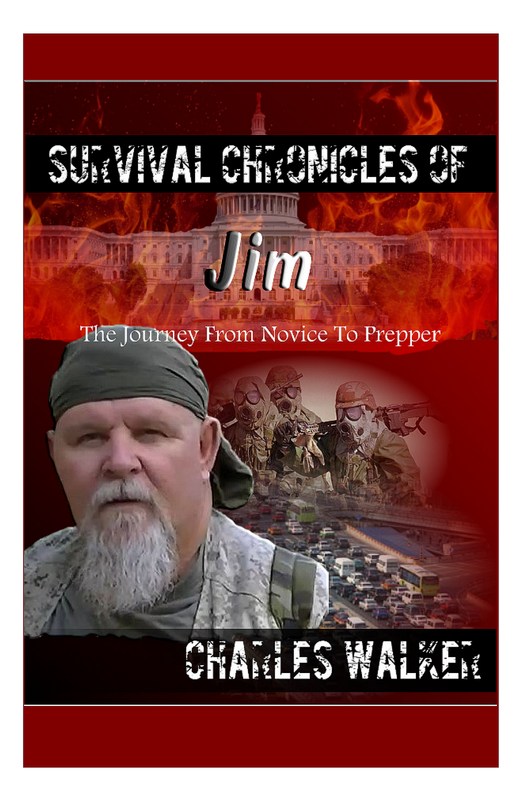 "In this survival situation, the three sisters were ahead of the game. They were at least minimally prepared, but with a little more preparation as mentioned above, this event could have been avoided or at least minimized to how long it took to find them. If you like hiking and backpacking, especially overnight, it is highly recommended that you be well trained in wilderness survival techniques, first aid, map reading and navigational skills. And always have at least the basic items to survive on in the area you will be in."